with as much fun, laughter and excitement as you could have by going to the Cheltenham Festival that week! 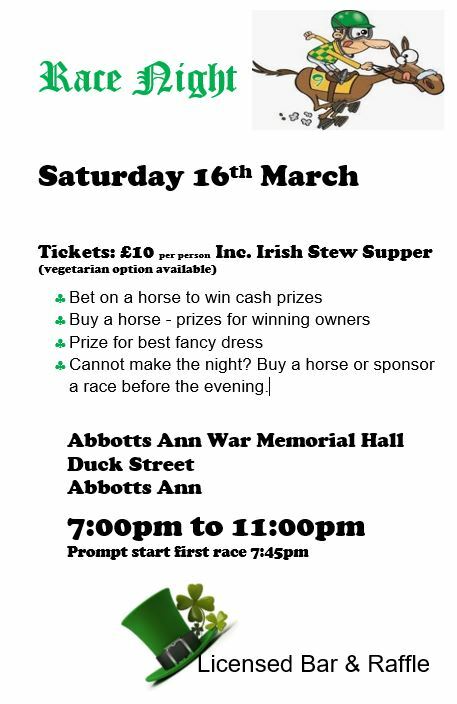 Tickets a mere £10 to include an Irish Stew (what else!) and a fancy Dress Competition for the best dressed Irish lookalikes. 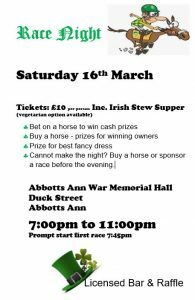 Tickets NOW on sale in Abbotts Ann Village Shop – make sure you get yours early!